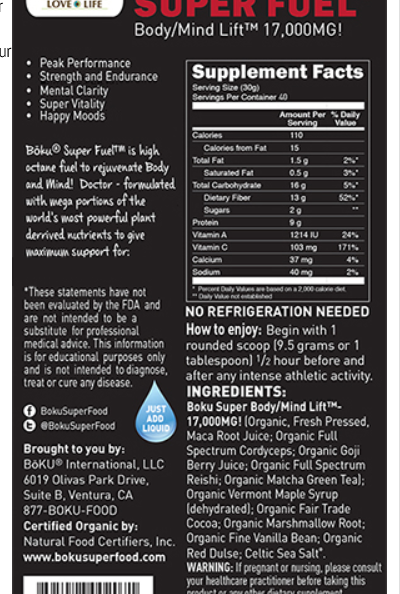 The Boku Superfuel is a new product released by the Boku company, which is best known for its Boku Superfood. The company is fairly new, having started in 2007, and from what I can tell has done very well. It started out with humble origins and a single product (the superfood), and has since expanded its product line to a protein powder, meal replacement bar, green tea drink, and its recently released BoKu Superfuel. They have a good reputation for quality, so I was happy to accept their request to take it for a spin. I even got an e-mail from the founder of the company, which was a nice touch. I liked it a lot and it’s a very unique product. It’s not a traditional superfood powder, but goes above and beyond what you’d get in a traditional energy supplement due to its robust and high quality ingredient list. I almost want to say it’s an attempt to replace your cup of coffee, but I suspect it’ll be most popular with athletes that use Boku products for training. Really a unique product. Its goal is to improve your physical performance, and it does this by condensing the Boku Superfood ingredient list to its most potent parts. It delivers health with improved energy as a side effect, whereas other products might try to deliver energy with a crash and lethargy as something you might have to deal with when its effect runs out. High quality ingredients. This is no surprise, since every Boku product is meticulously sourced. Never the less, it gets very high marks for purity. Certified organic, kosher, and vegan, with only nutritionally potent ingredients. Surprisingly good taste. Its made with cocoa, vanilla bean, and maple syrup, and has a surprisingly rich taste that’s aromatic and pleasantly sweet. To gauge a supplements taste I usually eat a spoonful before I mix it with water, and by this measure the Superfuel is one of the best products I’ve ever tried. It works! I definitely noticed an improved energy level after I took it. Very nice. Not a traditional superfood powder. 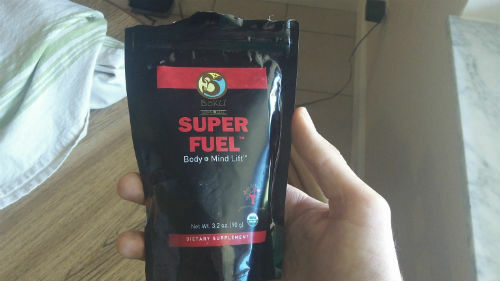 As best I can tell the Superfuel is not intended to be a spinoff of the Boku Superfood. Its ingredients are designed for energy and physical performance, and not as much overall health (Although keep in mind that of course it’s very healthy for you). So some customers might be turned off by its pared down ingredient list and better off sticking with the superfood. A little expensive. A bag costs $59.95 on its website, which might be a little more than some can afford. You get what you pay for, and healthy food is a cost effective substitute for medication, but this might hold some people back. Reishi and Cordyceps. Two species of mushroom and fungi that have a long history of medicinal use. Matcha Green Tea. Great for natural energy, and a very powerful regulator of metabolic health. ECGC is one of gods gifts to mankind. Red Dulse. A nutritionally potent fresh water seaweed. Given the inclusion of matcha green tea in its ingredient list, you could almost say the Superfuel is a hybrid between the Boku Superfood and its matcha green tea drink. If you’re looking for a way to use it, this is a recipe I tried and liked quite a bit. 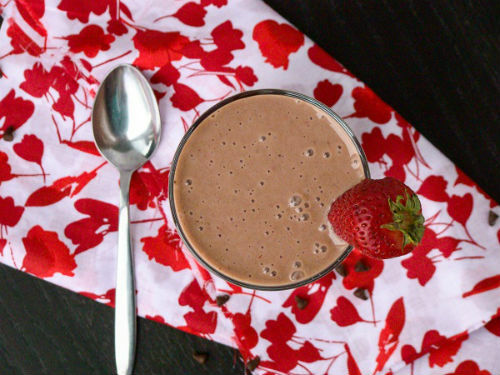 This is a great wholesome way to start your morning that gives your body a good mix of everything it needs and has a nice, rich, chocolatey flavor. It has enough calories to keep you full and definitely fills me up in a very comfortable way. It’ll leave your cup of coffee in the dust. 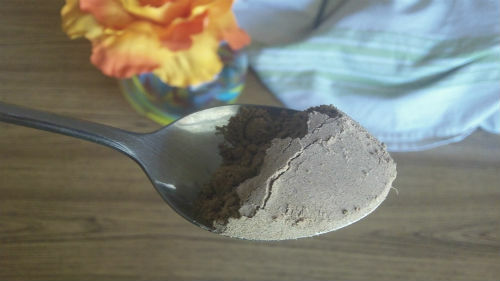 What differentiates the SuperFuel from the Superfood is that the former contains matcha green tea, cocoa, marshmallow root, and dulse whereas the Superfood does not. The superfood offers a wider variety of ingredients that includes probiotics, enzymes, algaes and grasses, fruits, and sprouts. So again, if you’re looking for something that includes everything but the kitchen sink then it’s best to go with the Boku Superfood. If you’re looking for nutrient concentration with an emphasis on physical performance then the Superfuel is a better choice. I think both are very good products, but what’s best for you is a matter of preference. To make the comparison a little easier, here’s a table comparing the two. So overall I liked this product quite a bit. I’d recommend buying it, and enjoyed using it more than most other superfood related supplements. Disclaimer: I don’t get paid for my reviews. Whatever I say is my own opinion and your own observations might differ. When I point out a products benefits or drawbacks I’m not trying to demonize or deify companies or products, just point out relevant information. Thanks! What is the regular way to consume this? With water? Would it mix well with milk? Joe, I believe water is the regular way to consume this. Probably best either in the morning or before a workout. I usually drink it with non-dairy milk, specifically rice milk. I found myself drinking it with water more often than not. I found that it clumped a little in plant milk (almond for me) and really enjoyed its taste best just plain. And in my experience it mixed best with water. You could mix it with milk as well, but I’m not sure how well it’d dissolve. In the article you state that Superfood has more ingredients but in the comparison chart, it’s showing otherwise.LIkewise with “intended for”. I’d be surprised if there were really a product available without prescription that made people feel energetic reliably yet didn’t have caffeine in it.